Alice is a single woman running her family pharmacy. Her sister found love right out from under her, but Alice is yet to find a man who enjoys Cole Porter and Woody Allen in the same way she does. Allen is her childhood hero and helps her negotiate through life, from his poster position on her bedroom wall. Although her family set her up with Victor, she remains involved with the dashing Vincent and doesn’t see Victor as the love of her life. Until, that is, Victor surprises Alice by showing her how much he really does know and understand her. Woody Allen may be her guide, but at some point she needs to act on her own. This is quite an enjoyable French film. It doesn’t provide a lot of laughter, but that is fairly typical of this style of rom com. The comedy subtle and charming, like the characters. 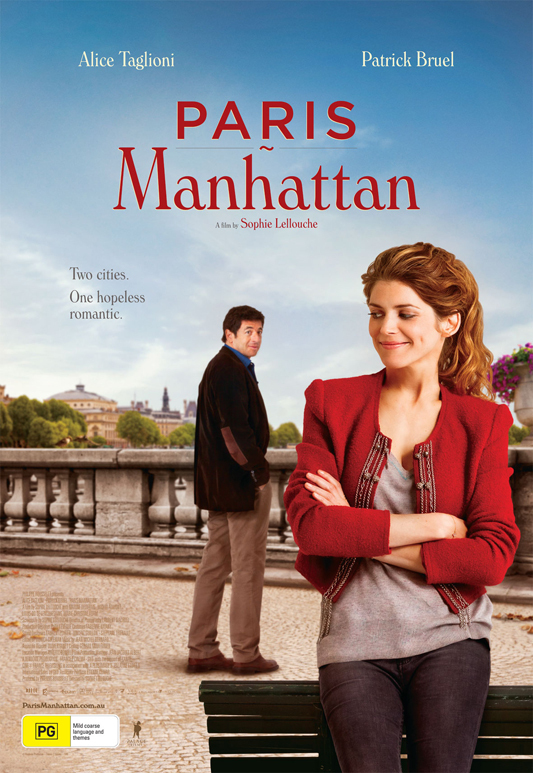 Posted on 29/05/2013, in the whole rom com list, woody allen rom coms and tagged Alice Taglioni, Lois-Do de Lencquesaing, Marine Delterme, Patrick Bruel, Woody Allen. Bookmark the permalink. Comments Off on Paris Manhattan.